Manton Westwood Books, New Haven, CT, 2011. 115 pp., 95 toned black & white plates, 10½" x 10½". One camera. One lens. One year. One mile of river. 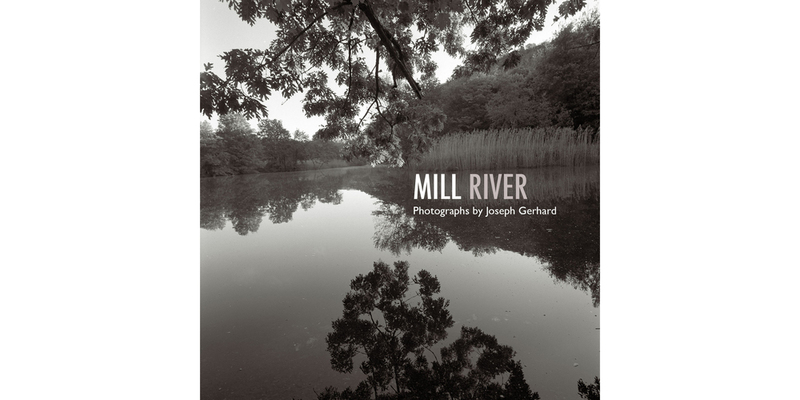 Mill River is an extended meditation on a specific place and time—the product of sustained looking and contemplation. From the photographer: 'Most fascinating to me is that while this section of river appears relatively unplanned and natural, it is very much a manmade artifact in the sense that the entire ecology of the area has been shaped by decisions made over the past 150 years." "Gerhard's striking black-and-white images are both meditative and informative about how man and environment interact, both positively and negatively. Mill River is an ode to man's ability to coexist with, and in some respects protect, the natural environment."